The land disposal system is a critical component of any on-site wastewater system yet it is the component that typically gets lesser consideration during the design, installation and maintenance of a wastewater system. As a consequence the disposal system is the area problems will typically become evident. Not only that, a poorly performing disposal system can have a negative impact on the performance of the treatment system. The land dispersal of treated effluent into or onto the land is the ultimate in sustainable disposal options. When correctly designed and controlled water and residual nutrients in the treated effluent can be dosed to plant root zones and beneficially utilised as a free source of irrigation water. Soil microbes further polish the treated effluent finishing the job started by the BioPod. Emitters are protected by Rootguard technology which uses Treflan herbicide to prevent roots growing into the emitter. The herbicide is impregnated into each drip emitter during the moulding process to direct root growth away from the drip emitter which stops root intrusion. Wasteflow is protected against slime growth on the inside walls by the use of Geoshield. Geoshield is the green inner lining of the Wasteflow tube which is extruded with an antimicrobial agent that inhibits organic growth inside the dripline. 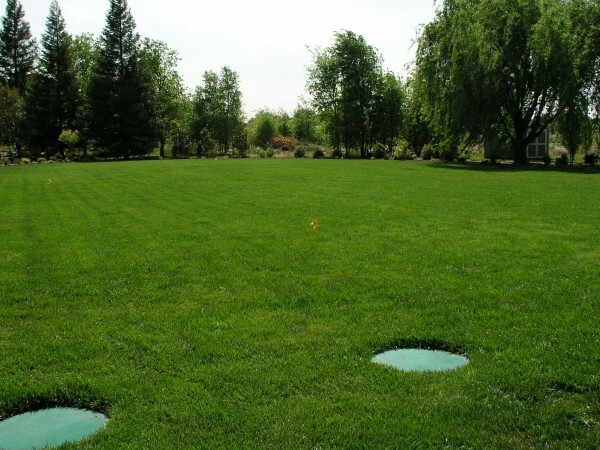 This allows any debris accumulating within the dripline system to be more easily flushed out during maintenance. The wetted volume of soil around the emitter is about 40% larger compared to surface installations. It reduces the potential for human or domestic animal contact which is important as secondary treated effluent can still have high pathogen concentrations. The potential for odours evident in the disposal area is reduced. The potential for UV degradation or mechanical damage is reduced. 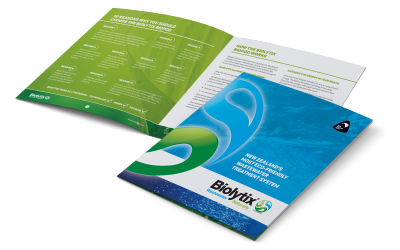 All Biolytix BioPod are supplied with a standard dripline irrigation kit to allow for the controlled dispersal of treated wastewater into or onto the topsoil in your backyard. The dripline is a flexible and easy to install polyethylene dripline with pressure compensating turbulent flow emitters which distribute effluent slowly and uniformly across the entire disposal area even in difficult soils and on hilly terrain. Have a lush garden all year. The sub-surface irrigation helps you save water. It targets the root zone, where it is needed most. Far less valuable water is lost through evaporation, spray drift and run-off. Sub-surface irrigation is your safest option. Even though the treated water from the BioPod is better than the required secondary standard, it is safest to keep it in the soil. The soil is an effective barrier to human contact with effluent. It eliminates the hygiene risks associated with pathogens in spray and puddles from above-ground irrigation. The irrigation is out of sight, out of mind. No need to mow around sprinklers and pipes, as these are not exposed to damage from the mower. It is also better suited for steep slopes. In contrast, spray irrigation or surface pinned dripline on steep slopes can cause soil erosion and run off, and is more likely to result in uneven distribution.